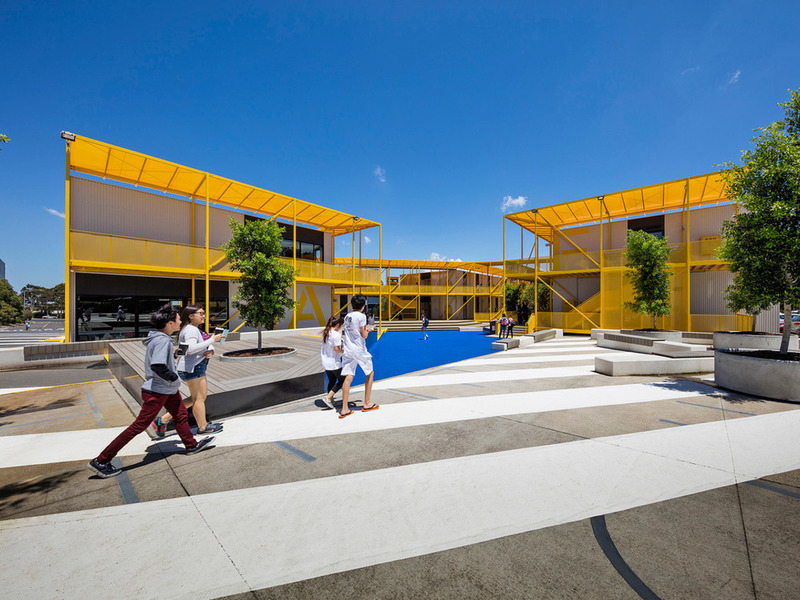 Philip Ward, Director and co-founder of Public Realm Lab, led the strategic direction, design and delivery of Monash College Learning Village in his role as Monash College Masterplanner in collaboration with JCB Architects. 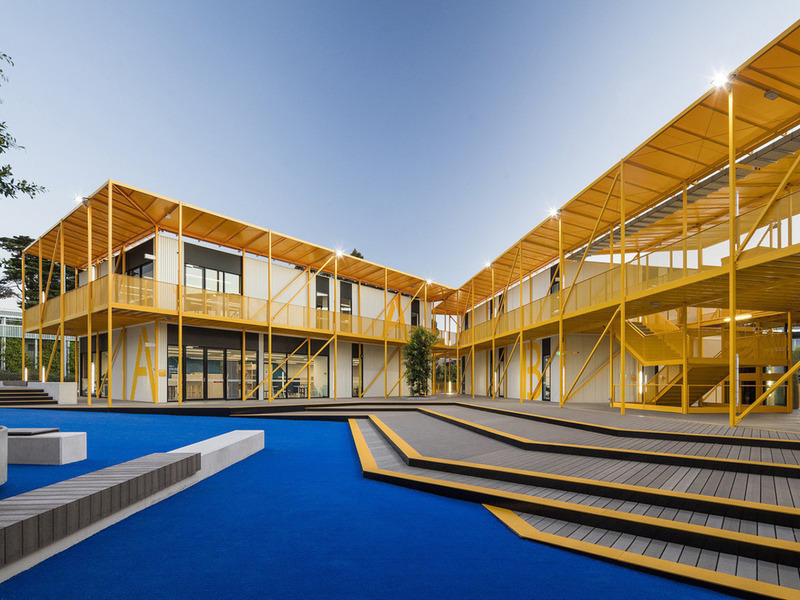 The Village is a pop-up educational facility at Monash University’s Clayton Campus, completed in October 2015. It is a manifestation of the University's innovative vision for education and applied learning in a dynamic, collaborative and flexible environment. Achieved through a 9 month fast-track design and construction period, the Village is a response to Monash College’s fast growth and will accommodate the decanting of other buildings on campus when required. 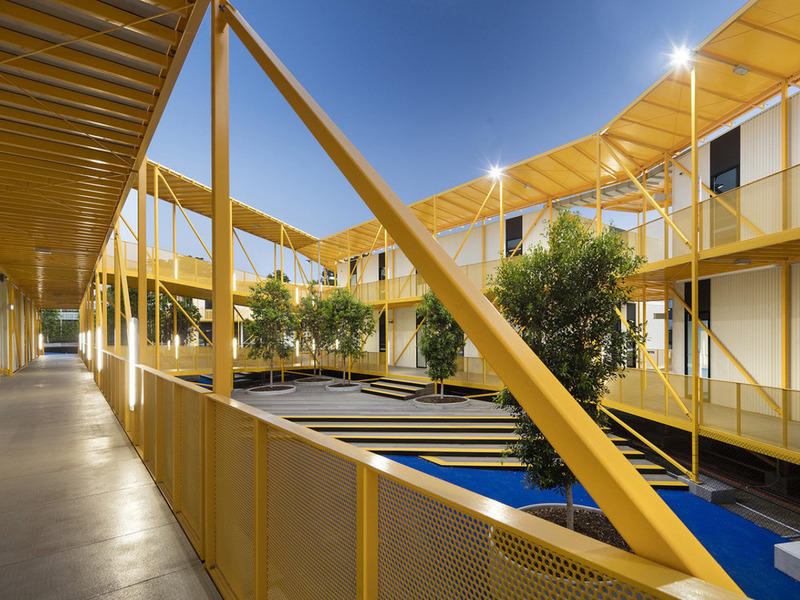 The key challenge was creating a sense of place within a car park location and arranging factory built modules in an engaging way that created unique open spaces for students. The outcome is a space whose layout avoids barrack-like repetition. The Village has a community, ‘village’ atmosphere, with a central agora despite the fact that it is a temporary building. The Village was first runner-up for the 2016 Australian Human Resources Institute (AHRI) Award for Innovation and Creativity, within the Contemporary HR Category. AHRI is the national association representing human resource and people management professionals and setting the professional standard for HR in Australia. 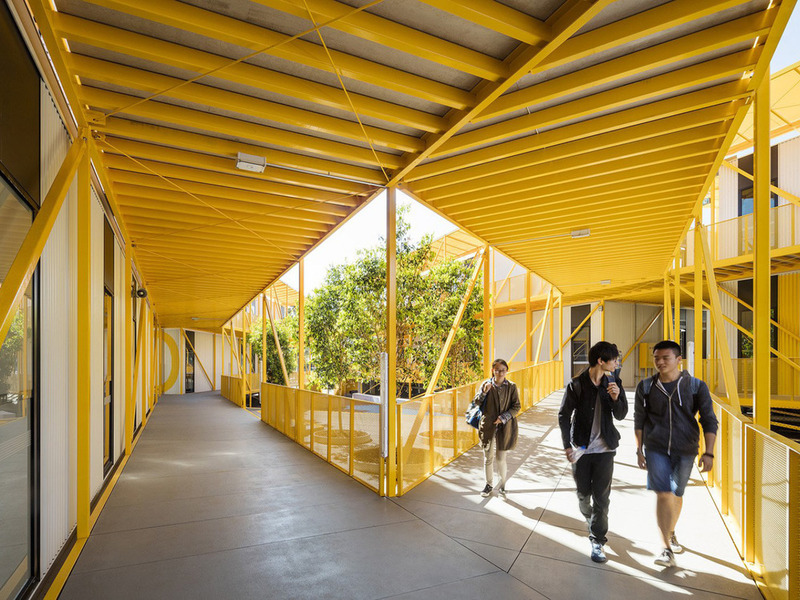 It was also a finalist in the education category of the 2016 World Architecture News Awards.